Effect White Balance Click is to improve overall skin tone and gives a luminous complexion. Recommended Reason With its light texture, the skin feels hydrated and refreshed. The skin will look visibly brighter and more radiant. It helps to prevent appearance of pigmentation. 100% stable Kojic Acid stored in lid. No Hydroquinone. No Retinoic Acid. 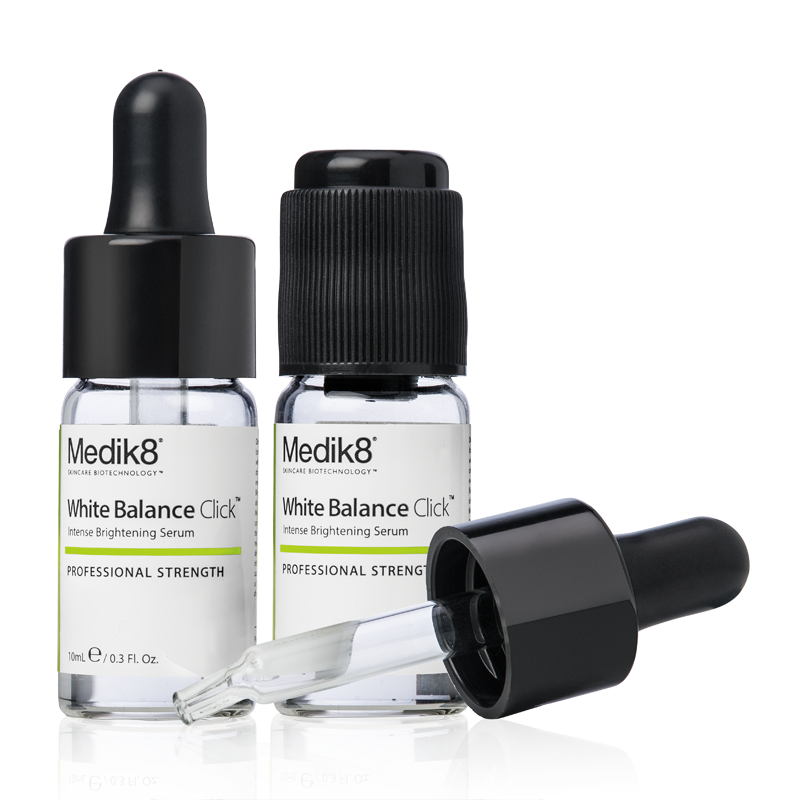 White Balance Click can treat dark spots, freckles, sun damage, melasma, age spots, blotchiness and even skin tone. After cleansing in the morning and/or evening, apply 3 drops of White Balance Click directly to skin. Blend evenly across face (avoid eye area), neck and decolletage. Leave to absorb before applying your regular hydrator.